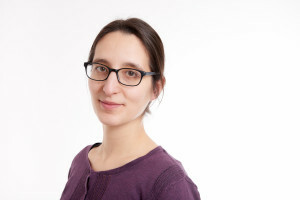 Fanny grew up in the French countryside and, following a gap year in Ireland, completed a LLB in English and French law jointly awarded by the University of Essex and the University of Paris West (Nanterre). She obtained the Oxford Press Prize for best performance in constitutional law. During her studies she volunteered with various migrant rights organisations advising and supporting migrants and acted as the secretary for the Human Rights Society at the University of Essex for a year. She then went on to complete a LLM in criminal justice on an Erasmus scholarship at the University of Kent where she became interested in critical legal studies and in the issue social exclusion. During her time at Kent she volunteered in the award-winning Kent Law Clinic helping with asylum cases and in the Dover Detainees Visitors Centre befriending immigration detainees while also working as an Teaching Assistant for Kent Law School teaching on various undergraduate modules for 2 years. This experience consolidated Fanny’s commitment to access to justice and to a career in social welfare law. She enrolled on the Legal Practice Course (legal aid route) at the College of Law in Birmingham where she graduated in 2011 with a commendation. Prior to joining Coventry Law Centre as a Justice First Fellow, Fanny gained experience working as an adviser with Citizens Advice Bureau in Leicestershire, as an employment law caseworker for Community Legal Advice in Sheffield and as a welfare and education adviser at De Montfort Students Union advising and representing students in various matters. Coventry has the highest rate of domestic violence in the West Midlands but evidence requirements for legal aid have caused a drop-off in women seeking the Law Centre’s help. The Law Centre wants to increase the number of women using its service to escape sexual violence and abuse. Fanny will co-ordinate this project and will arrange training for volunteers and make and sustain links with organisations where they can meet potential victims and raise awareness of the service in other relevant locations such as schools and GPs, voluntary and community organisations and other organisations working in the sexual violence field, including the police.